We’d like to thank all of the Sponsors, Exhibitors, Instructors, Instructor Assistants, Students and Attendees of the 25th annual Glass Craft and Bead Expo for another spectacular event. One of our main goals is to continue to help flourish the glass art community and we cannot do it without the support of all of you. 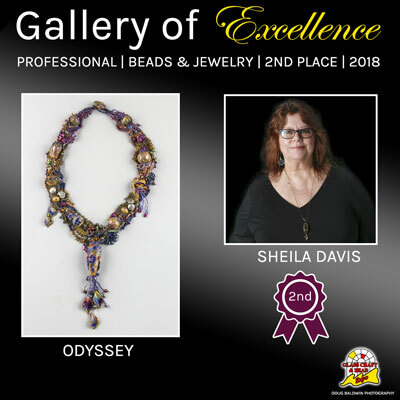 Make sure to save the date for the 2020 Glass Craft & Bead Expo which will be held at the South Point Hotel and Casino, classes April 1st - April 5th, exhibits April 3th – April 5th. 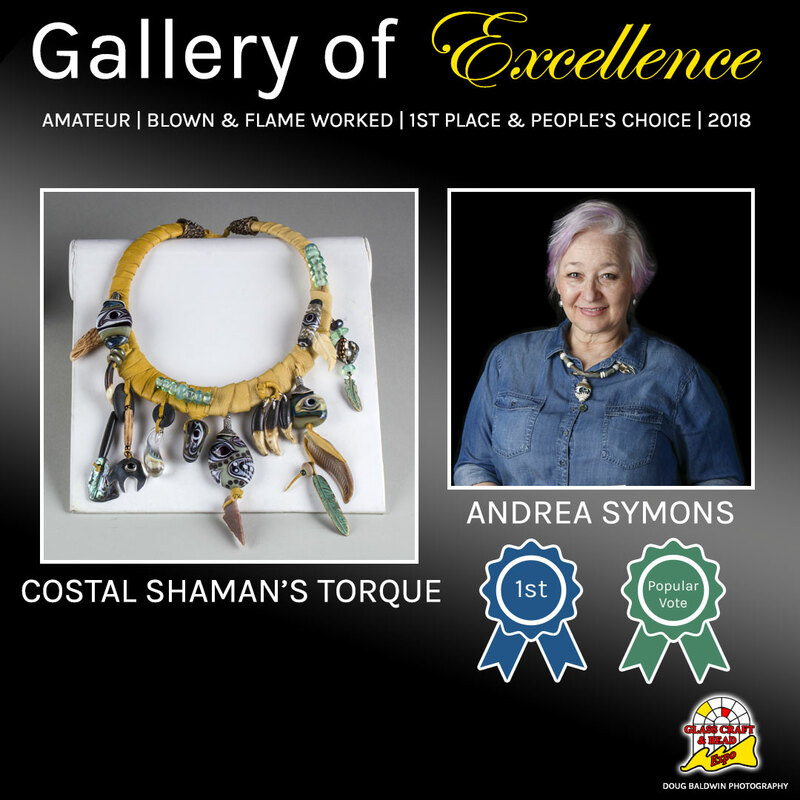 Stay up-to-date with news about the Glass Craft & Bead Expo. 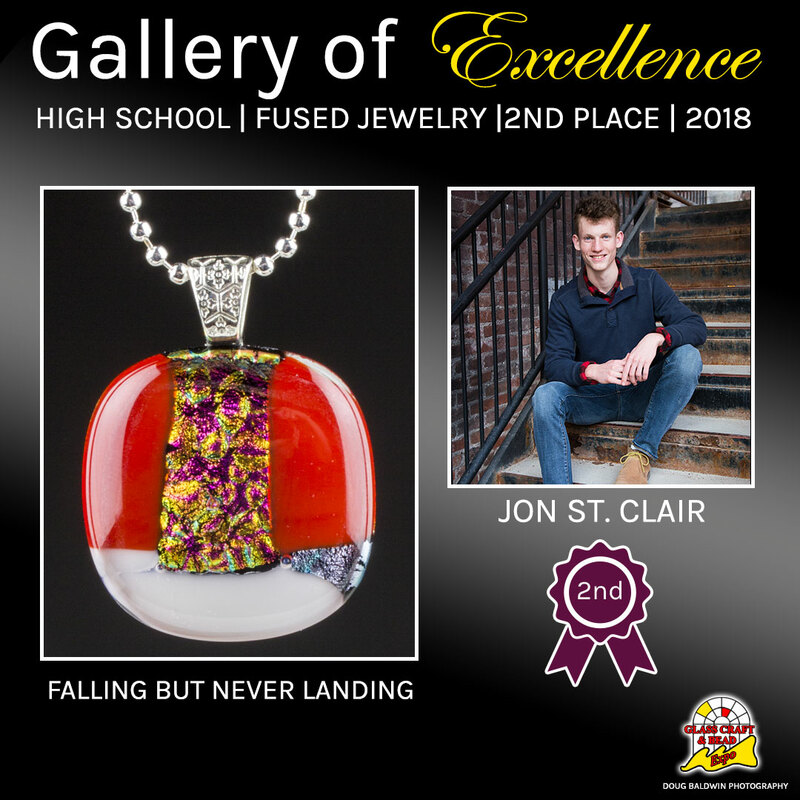 We look forward to seeing you at the 2020 Glass Craft & Bead Expo! Class registration dates and more details will be released soon. Keep checking back here or on social media for updates. THANK YOU TO OUR ADVERTISERS FOR ALL THE SUPPORT! Each year, we produce a beautifully illustrated 100+ page, full-color, high-quality show guide detailing each class. The domestic (USA/CANADA) mailing fee: $5.00. The international mailing fee: $12.00. You are credited this amount back with the successful signup of any class for that year's guide. 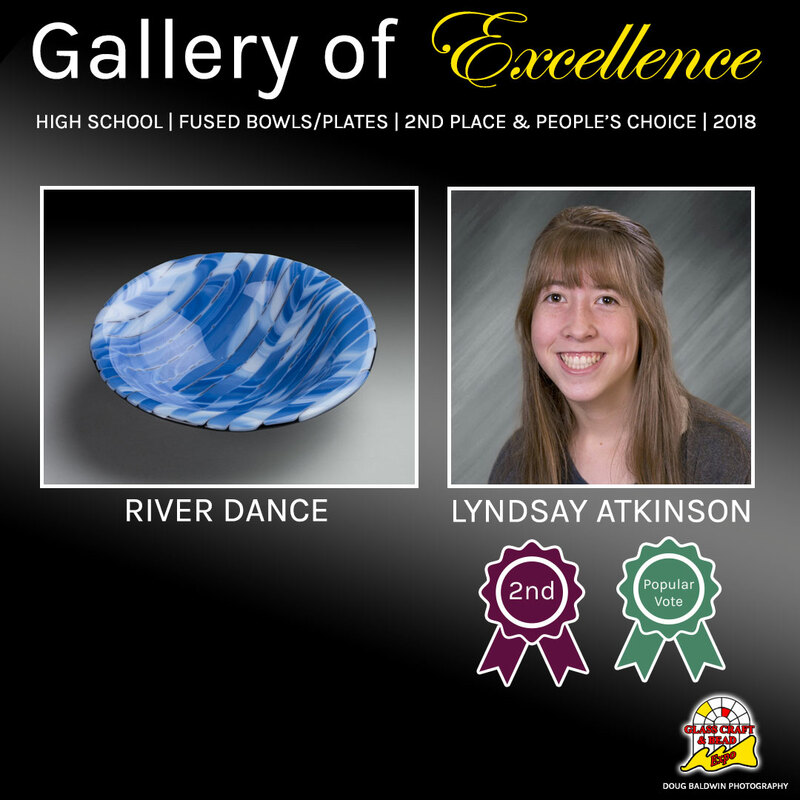 Sponsored by Glass Patterns Quarterly, Glass Art, and The Flow Magazines. Details for 2020 GCBE will be released soon. Details on the classes for the 2020 Glass Craft & Bead Expo will be released soon! Keep checking back for more Wholesale Buyer information and registration opening. 2020 Instructor List will be released soon, keep checking back! Sponsors play a huge role in the success of our annual show. 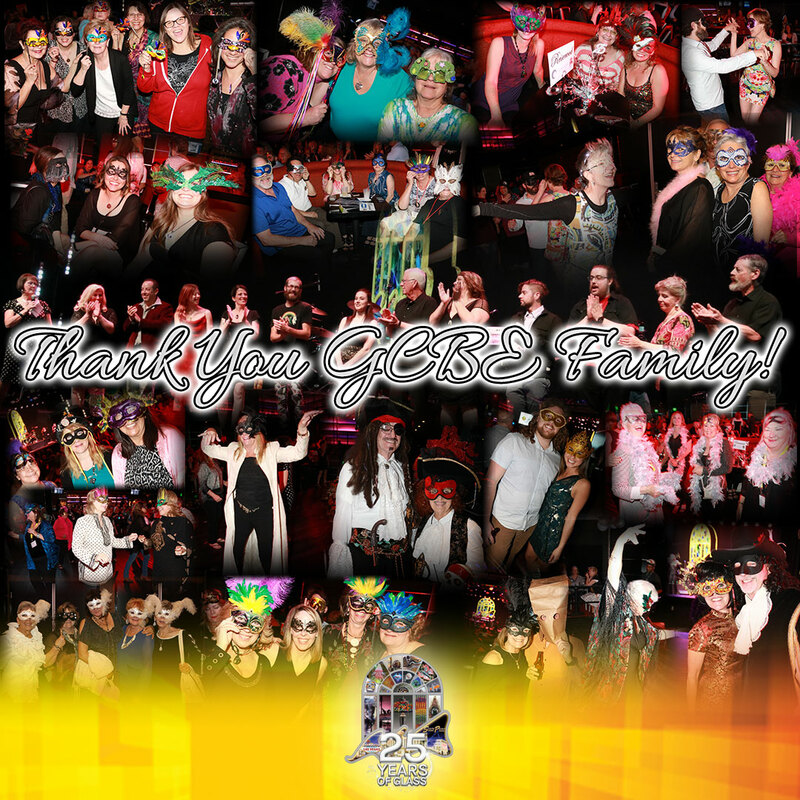 Many of our sponsors have continuously returned to support the show in a variety of ways. 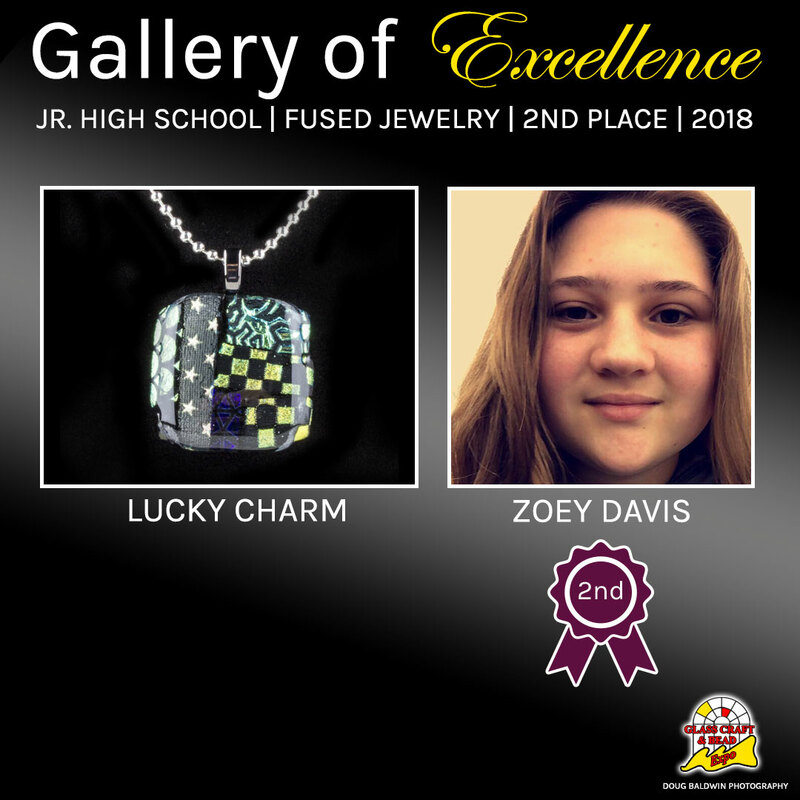 This year we want to recognize our Gold, Silver and Bronze sponsorship levels and also recognize each and everyone business or group that helps us deliver America's favorite and largest glass and bead expo! 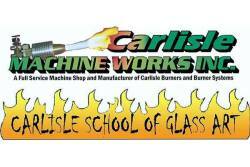 A full service machine shop/job shop (no job is too small) that serves not only the local community, but world wide support for burner and combustion applications pertaining to the flame treatment of plastics and glass. Our Automation and Engineering Divisions manufacture Flaming Conveyors for the pharmaceutical, glass, and plastics industry that are custom designed to fit their required footprint and can include Vision Systems, Leak Check Systems, Metal Detection, and Flame Treating of the product prior to arriving at a custom designed packaging system. We are ready willing and able to work with you, the customer, from design through implementation. To the Scientific and Glass Art communities we are the manufacturers of the workhorse of the glass industry, the CC Burner, as well as a full line of glass working torches. And last but not least the Carlisle School of Glass Art that not only gives back to the community, but provides a path for aspiring artists to achieve their dreams. 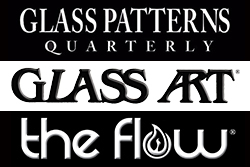 Glass Patterns Quarterly is the leading international glass publication. 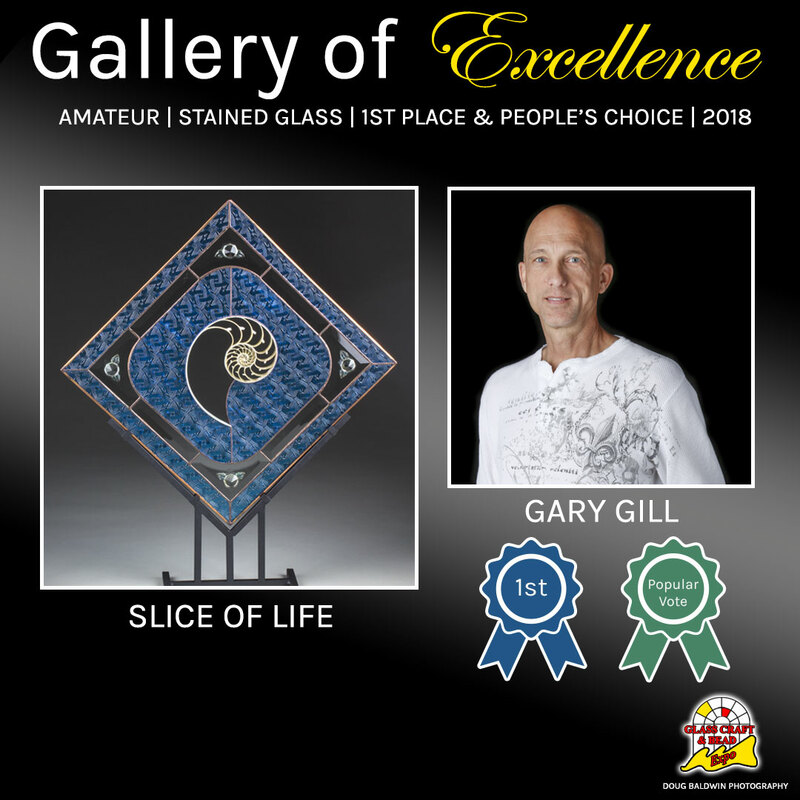 We've been providing inspiration and information since 1985 to glass hobbyists and professional artists. 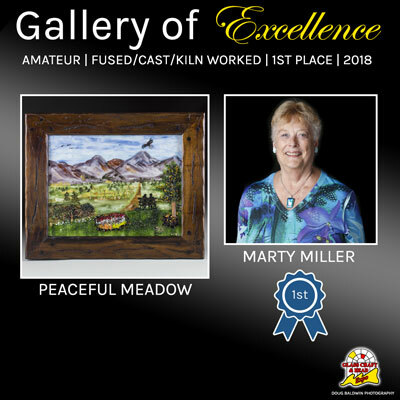 This has been accomplished by developing relationships with the finest artists & sharing their techniques with you through in-depth, step-by-step tutorials. In every issue you can enjoy great content with popular artists and instructors and cutting edge techniques using the latest industry products. New Books, Products, Industry News, and What's Hot keep you abreast of the latest happenings in glass. We feature inspiring gallery showcases, dynamic general interest articles, as well as tips and techniques and health and safety information These features along with our 16-page, pullout pattern section, (most of which are full-size) make Glass Patterns Quarterly magazine the number #1 glass publication. 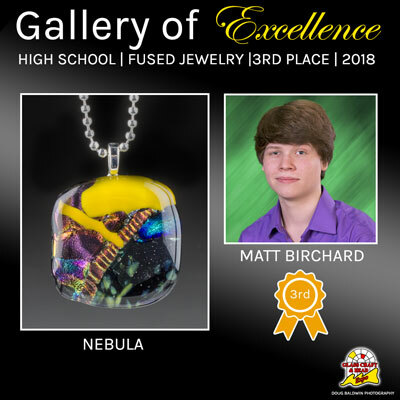 Since its inception, the focus of The Flow has been to provide a bond among members of the lampworking community. This has been accomplished by developing relationships with the finest artists & sharing their techniques with you through in-depth, step-by-step tutorials. In every issue you can enjoy great content with the hottest artists and cutting edge techniques using the latest industry products. 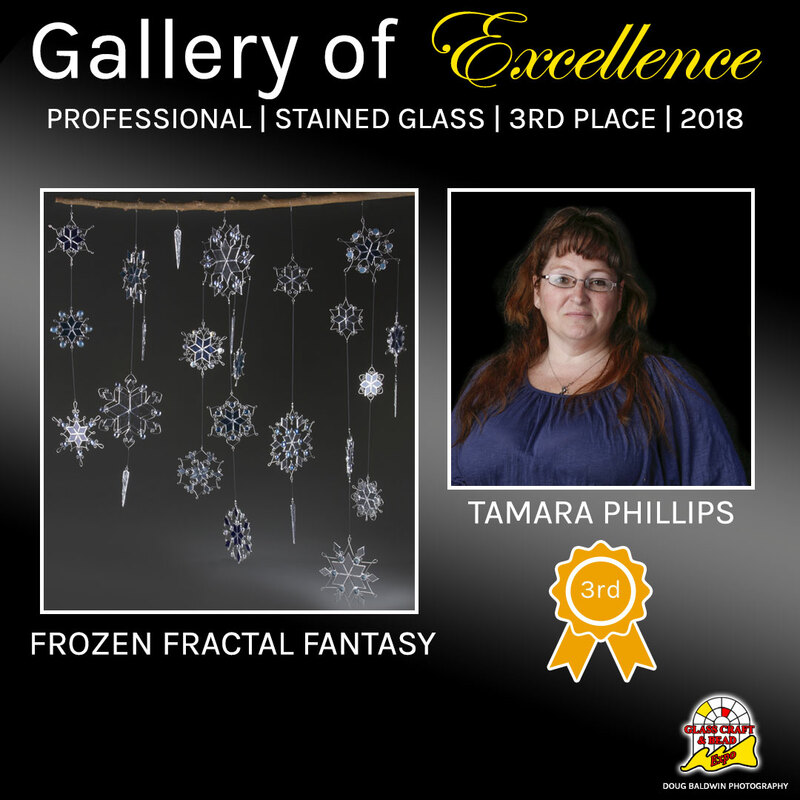 These features along with the continuation of our Women in Glass edition, Glasscraft Emerging Artist Awards, inspiring gallery showcases, dynamic general interest articles, as well as health and safety information make The Flow the leading international lampworking journal. 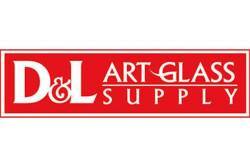 Glass Art is the magazine for the art glass industry. 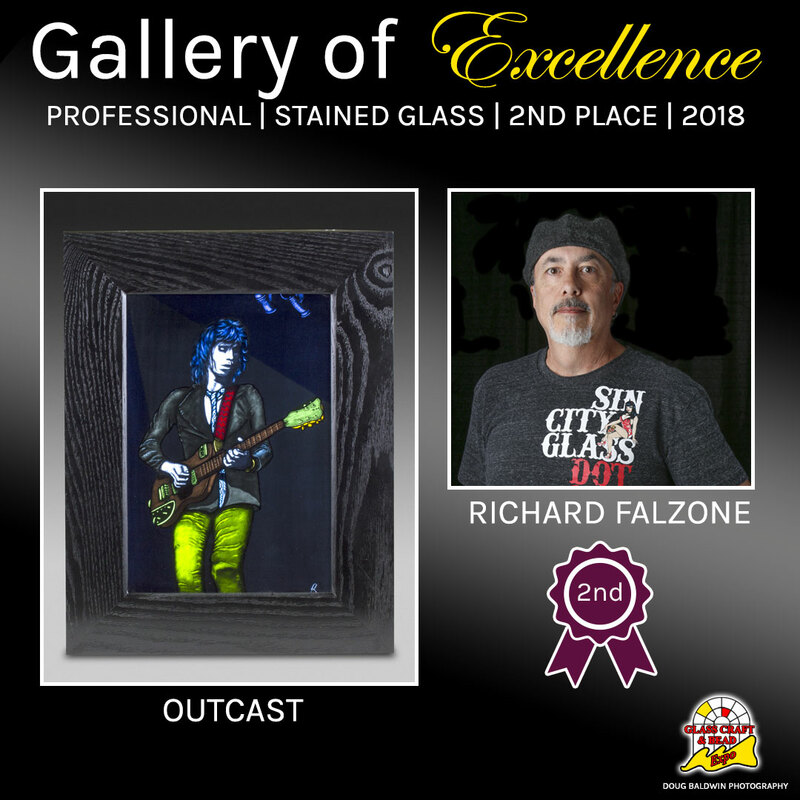 Independent artists, suppliers, manufacturers, distributors, retailers, educators, galleries, and professional glass studios all look to Glass Art as their definitive source for the best information available in hot, warm, and cold glass. 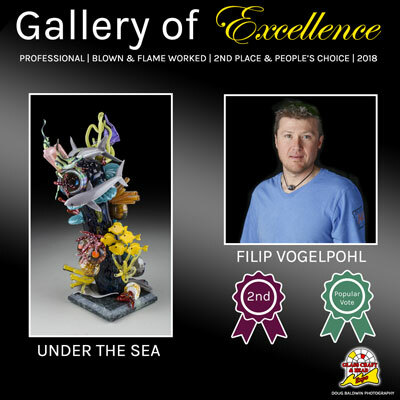 Everything from etching, painting, engraving, and stained glass to fusing, kilnworking, glassblowing, and flameworking is included in its pages as world-renowned artists share aesthetic and technical information, how they are adapting to current shifts in global business, and what they have learned from their successes and failures. 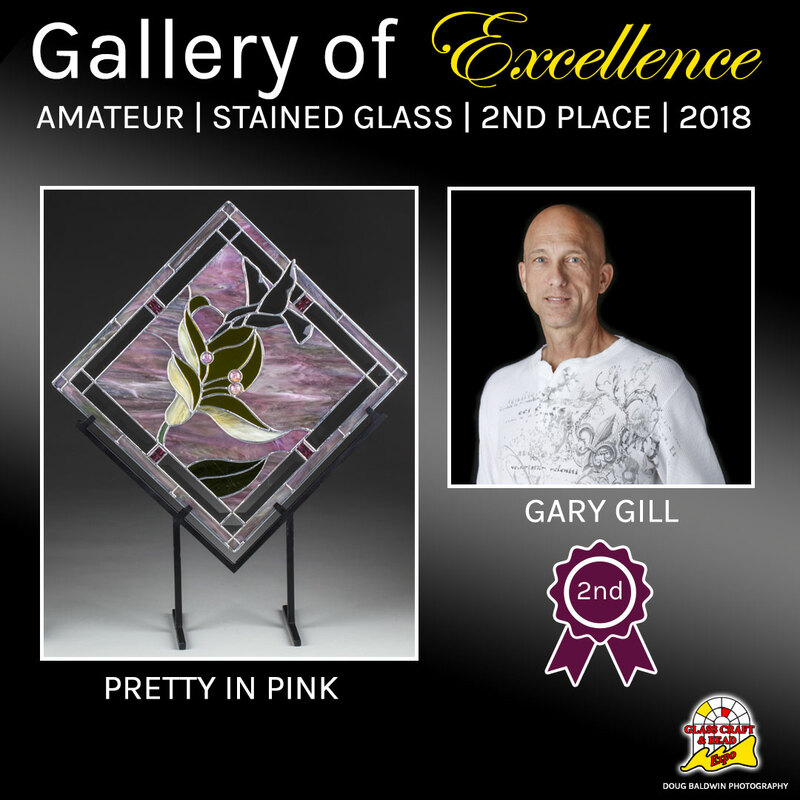 In addition to these in-depth artist profiles, Glass Art provides information for improving business, marketing, and trade show strategies plus the latest in organizational news and new products that are designed to enhance the glass art experience. 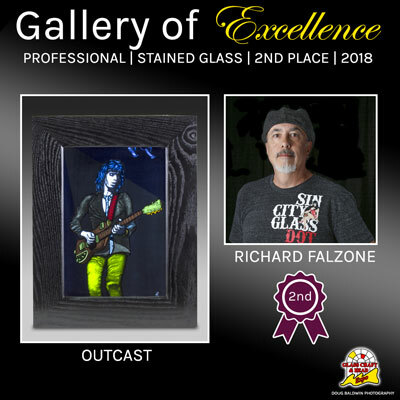 Cutting-edge glass art, professionally photographed in full color, combines with the insights and experiences of contemporaries around the globe to inspire and inform, making Glass Art the premiere source for anyone working in the glass art industry. Paragon Industries is the leading manufacturer of electronic kilns and furnaces. Our focus on quality and innovation assures our customers that we will continue to deliver innovative products that produce reliable and consistent results. Because we manufacture small tabletop kilns for first time buyers to large production kilns for commercial users, we can fill all your kiln product needs. 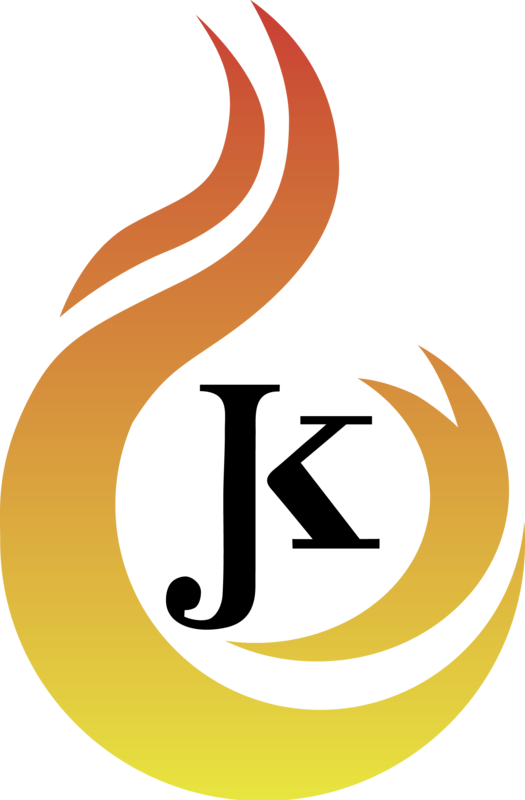 We make quality surfaced-mixed torches for our awesome glass art creators in the lampworking community! 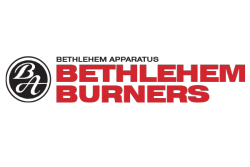 Reengineered for better performance and higher safety, Bethlehem Burners low-pressure torches are constructed entirely of stainless steel and feature the brand's signature wrap-around flame. 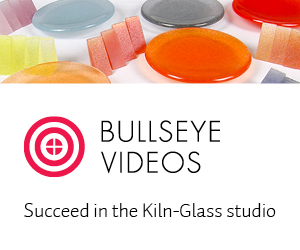 Bullseye Glass is the first company in the world to formulate and manufacture glasses that are factory-tested for fusing compatibility. 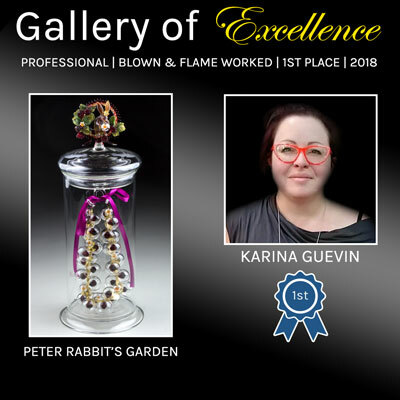 We are also recognized for key contributions to the kilnforming, kilncasting, flameworking, and coldworking methods used to create glass art. All our glass is handcrafted in Portland, Oregon, USA. Over our forty-plus year history, Bullseye Glass has collaborated with a community of artists worldwide with whom we have been instrumental in developing many of the fundamental materials and methods at the core of the contemporary kiln-glass movement. 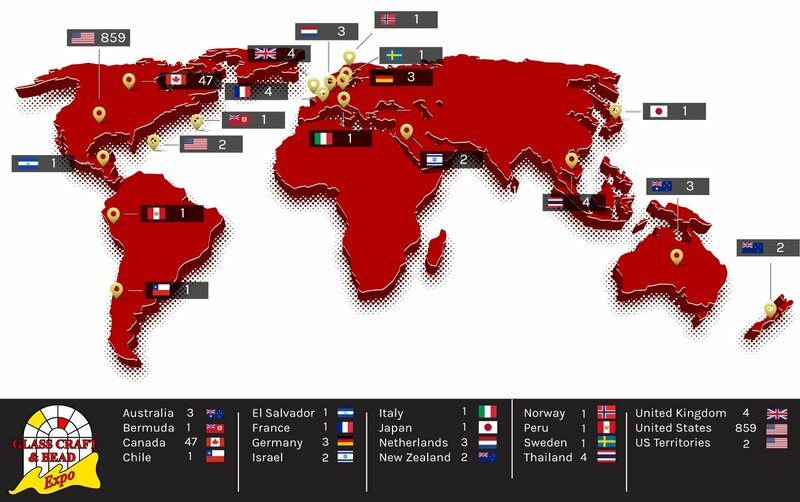 We are a small company with worldwide influence. Our research and education programs continually enrich and extend the reach of the kiln-glass art movement. Covington Engineering is a leader in the manufacture of top quality lapidary and glass equipment. Our products are proudly made and assembled in the United States of America. We pride ourselves in our excellent customer service, and the superior quality and craftsmanship we put into every machine we manufacture. We are located in Redlands, California, about 60 miles east of Los Angeles. We welcome walk-ins! 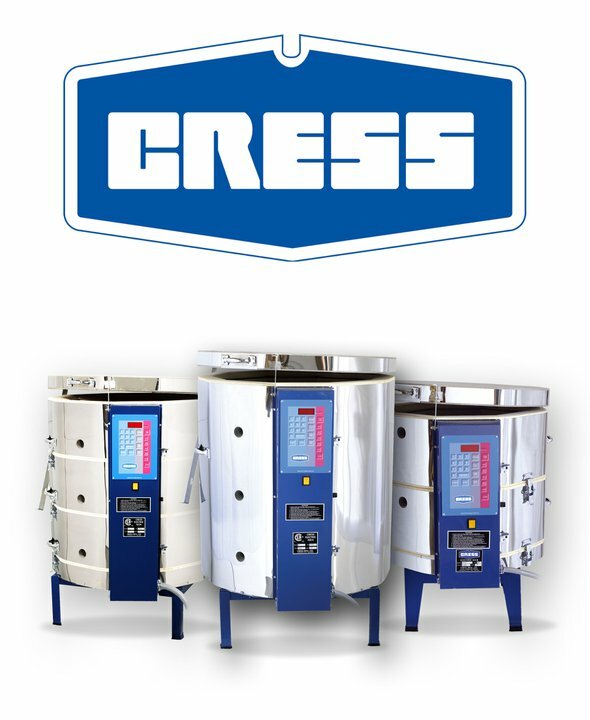 Cress has been at the forefront of firing processes for much of its history, being first in our field with UL listing of ceramic kilns; first with ultra reliable element connections; first with infinitely variable power controls and first with inexpensive automated firing. The Cress family has contributed its skills in graduate electrical and mechanical engineering and thermodynamics to the design of professional, fine quality firing equipment. We at Cress are proud of our long - standing reputation for the safety, reliability and excellent firing properties of our kiln and furnace designs. 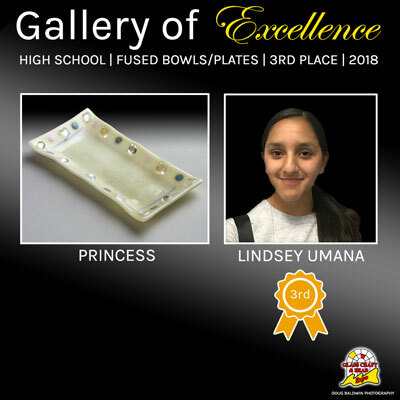 Cress has provided kilns and furnaces in such diverse applications as the space program, research laboratories, machine shops, production ceramics facilities, artist’s studios, jewelry production, doll making, pottery production, ceramics studios, glass studios and hobbyist’s workshops. We are gratified that our many satisfied customers return each time they are ready to increase their firing capacity. Company hours are Monday thru Thursday 6:00 AM - 4:30 PM. Pacific Time. Delphi was founded in 1972 on the belief that making art glass projects should be enjoyable and rewarding for everyone, from budding craftspeople to professional artists. 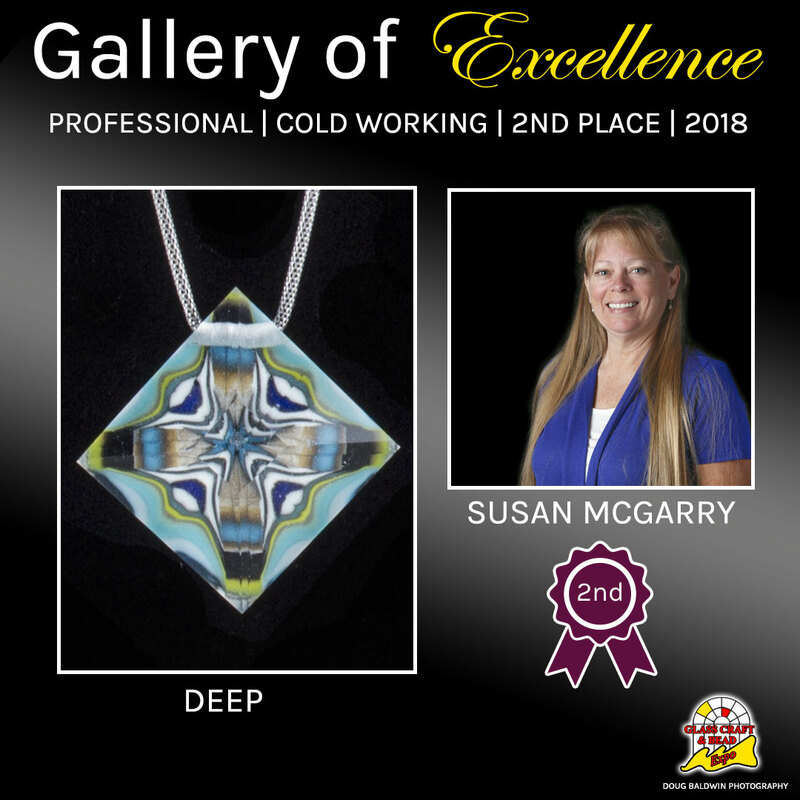 We pride ourselves on customer service and expert knowledge about the crafts our customers enjoy. With over 40 years of experience and retail, wholesale and educational divisions, Delphi is dedicated to our customer's satisfaction. Delphi is located in Lansing, MI. Delphi offers the highest quality tools and supplies. We are so confident you will be pleased with your purchase that your satisfaction is 100% guaranteed! Safe delivery to your door! 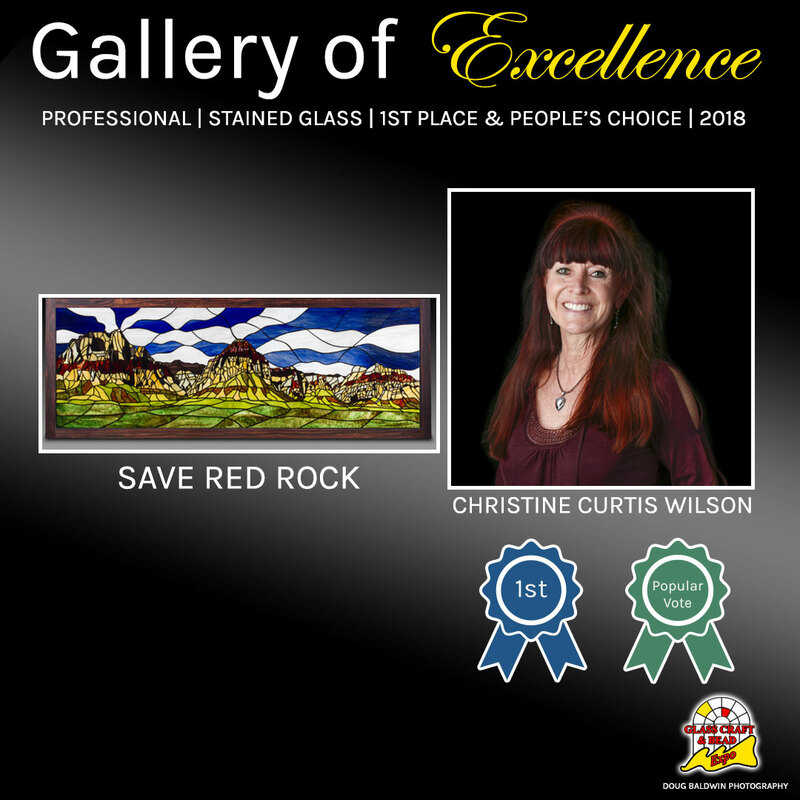 Our safe shipping guarantee applies to all items, including glass orders. Jen-Ken Kilns is a family owned and operated kiln manufacturing company that has been in business since 1951. We have been committed in building the finest electric kilns for all aspect of contemporary fired arts including; Glass, Clay, PMC, Pottery, Casting, Lampworking, Knife making and many more. We are serious about kilns, at Jen-Ken Kilns you can speak with a kiln advisor and decide which pottery or ceramic kiln is best for you. Then, if ready, you may order the kiln right then from the factory, it will be built and shipped directly to you. 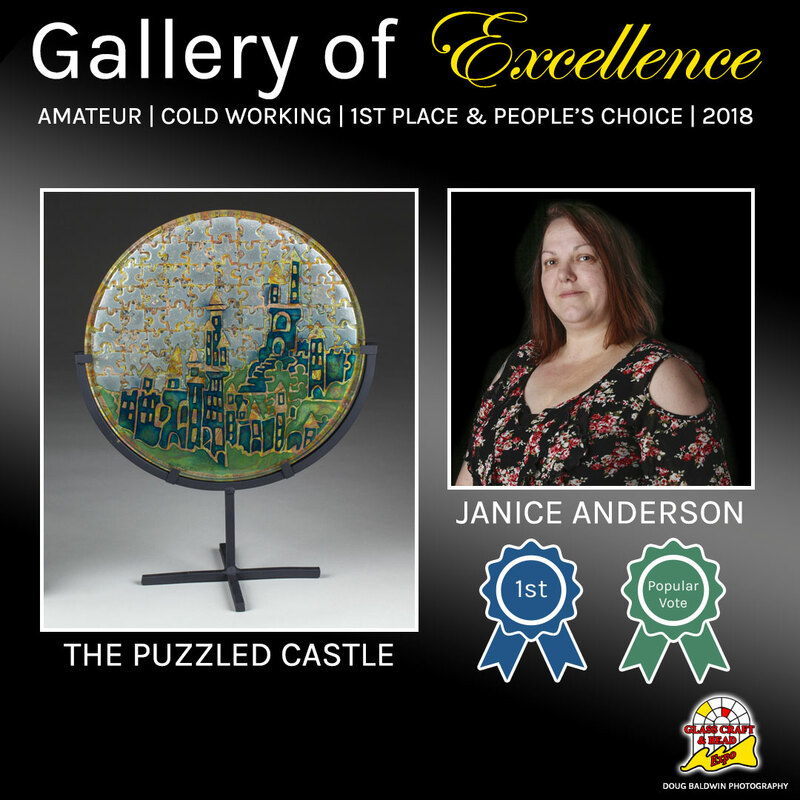 Once it arrives you may call and we will take the time to help you, "push the buttons" and get the kiln doing what you want it to do. We are here for you and we offer evening and weekend phone numbers, just in case your studios need a little programming help. We are here to help you with kilns and firings. We think of ourselves as artists' that build kilns, having fired about everything there is to fire. Oceanside Glasstile announced its acquisition of Spectrum Glass equipment, formulas and IP in September 2016. Oceanside Glasstile has been a customer of Spectrum Glass for over twenty years, leveraging Spectrum´s art glass to produce the Devotion collection. This ongoing relationship between Spectrum Glass and Oceanside Glasstile made the acquisition decision a rewarding experience for both companies. Together, they will work to unite the legacy of Spectrum Glass with Oceanside Glasstile´s global network to provide existing Spectrum customers the same standard of product excellence and customer service that has existed within the Spectrum family for over 40 years. Production of the Spectrum Glass and System 96 brand products in Oceanside Glasstile´s custom built facility in Tijuana, Mexico will commence in early 2017 and will use the same production techniques and bag-house emission control practices that Spectrum has used for over 20 years. Oceanside Glasstile´s team of flip-flop wearing, lunch-time surfing, beach designers welcomes the northwest hiking boot toting, nugget loving, premium coffee drinking Spectrum Glass spirit and is excited to stand alongside artists, designers and builders as we enjoy the view of what we can create together. Olympic Kilns moved in 1982 to Georgia to be near its raw materials, insulating firebrick, to eliminate excess costs both to the company and its customers. 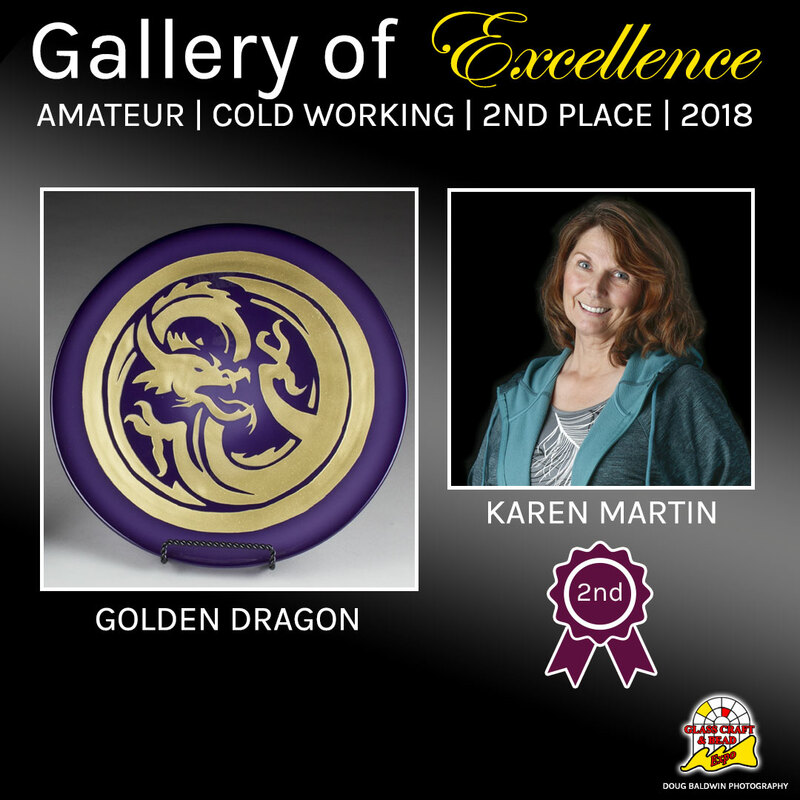 Today the company resides in Flowery Branch, Georgia, located 45 miles northeast of Atlanta and provides more models, styles and types of kilns than any other kiln manufacturer today. We have evolved from a small company to an international business by adding multiple designs of kilns, offering electric and gas as power sources, and working with new markets requiring heat-treating furnaces. The designs and engineering of our kilns are built to be structurally sound, high-end performing machines, and styled to meet multiple-sized piece requirements. We continue to maintain our small business values both to our employees and our customers. A dedicated team of individuals who strive to provide superb products and customer service make up the workforce at Olympic. Leading the company is Bob Haugen, whose vision and design expertise fosters a spirit of excellence in workmanship, quality and service throughout the company. Rob Haugen, following in his father's "kiln footsteps", grew up with Olympic Kilns and has developed a hands-on understanding of the ceramic and glass firing heat-treating furnaces industry. Manufacturing kilns is a unique business and the opportunity to learn from our customers creates a drive and urgency to deliver the necessary requirements requested by our customers for heat-treating furnaces. We have direct contact with customers so we can determine new market demands and troubleshoot questions or problems as they occur. We are excited about the kilns we offer today and the ones we will build in the future and we will continue to invest our profits in the creation and innovation of building kilns. 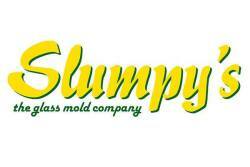 Slumpy's is a leading supplier of glass slumping and fusing molds. 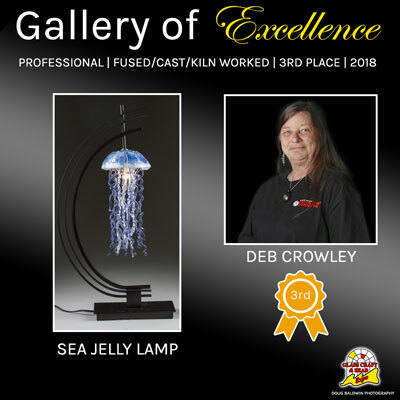 As a designer and producer of ceramic warm glass forms, Slumpy's has the experience and expertise to bring unique artistic kiln forming shapes to the glass art industry. Slumpy's is on a mission to enhance the warm glass experience. Slumpy's provides tools, know-how and innovation to help Glass Artists around the world increase artistic expression and make the world a better place. 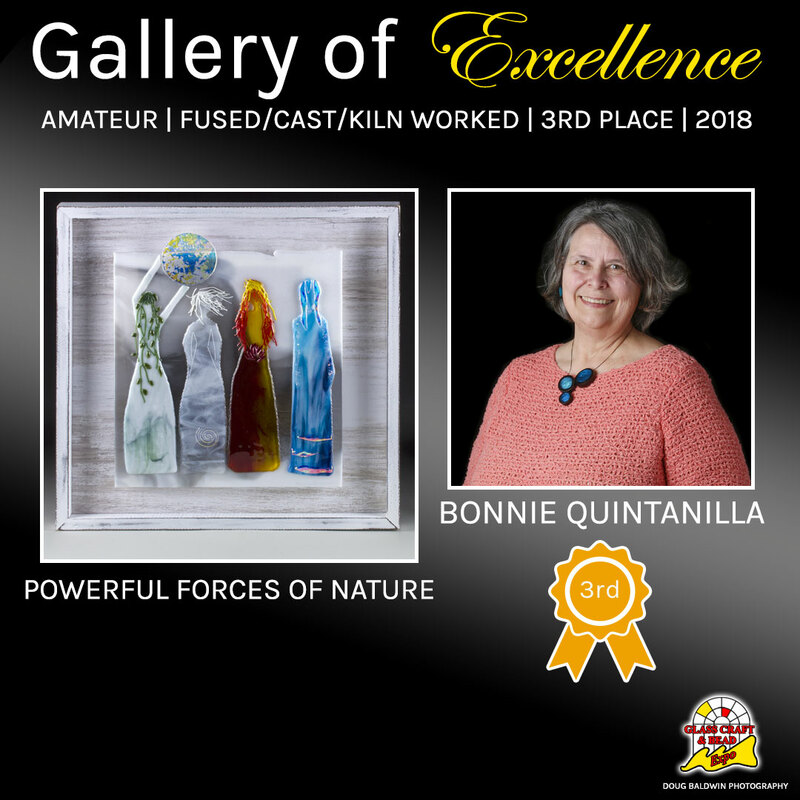 It is uplifting and rewarding, and what has developed from the fertile soil of careful design or mad, uncontrolled chemistry is a company where people, ideas, artistry, positive thinking, respect and caring come first. We also like to party from time to time, why not join us? What is the Uroboros brand name? The 'Uroboros' is an alchemist's term often represented by a dragon or serpent devouring its own tail. The ancient symbol represents an endless cycle of renewal or life everlasting. Our name honors the traditions and lore of medieval alchemists as they struggled to turn non-precious lead into precious gold. Today, we use non-precious sand to make some of the most precious hand-cast art glass available in the world. 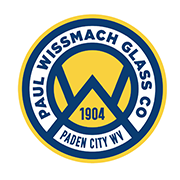 Now entering its 113th year of production in Paden City, West Virginia Wissmach Glass has been producing the widest variety of opalescent and cathdedral art glass in the world since 1904. In addition to stained glass, Wissmach also manufactures a wide variety of 90 and 96 coe colors for all of your fusing needs. D&L was built one customer at a time. 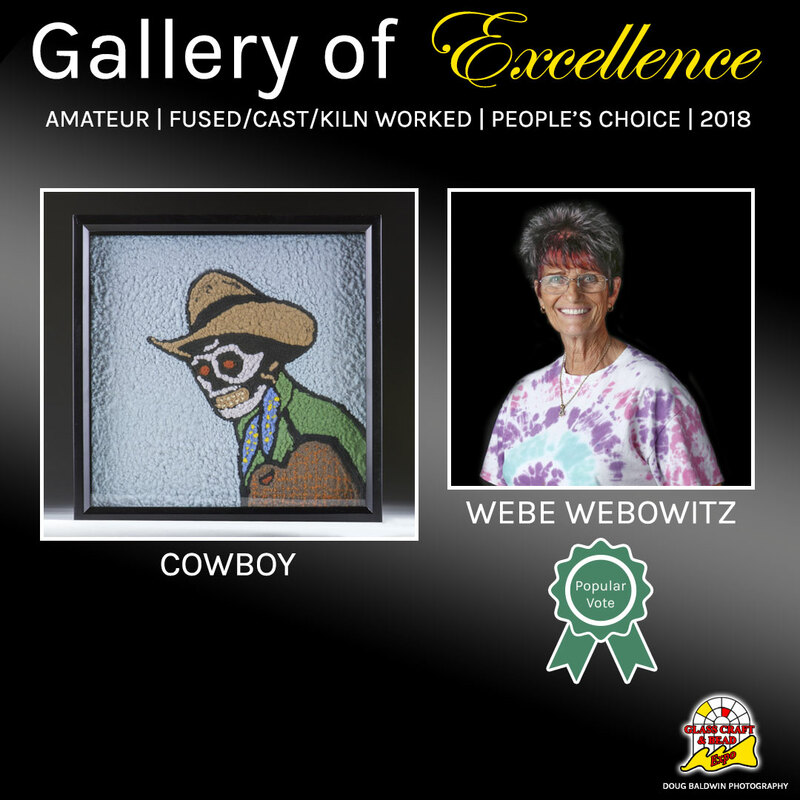 Started in 1974 by our current owner and president, Leslie L. Silverman, D&L has grown from a single item vendor to a full-service art glass supply distributor with a warehouse packed full of art glass and glass supplies. 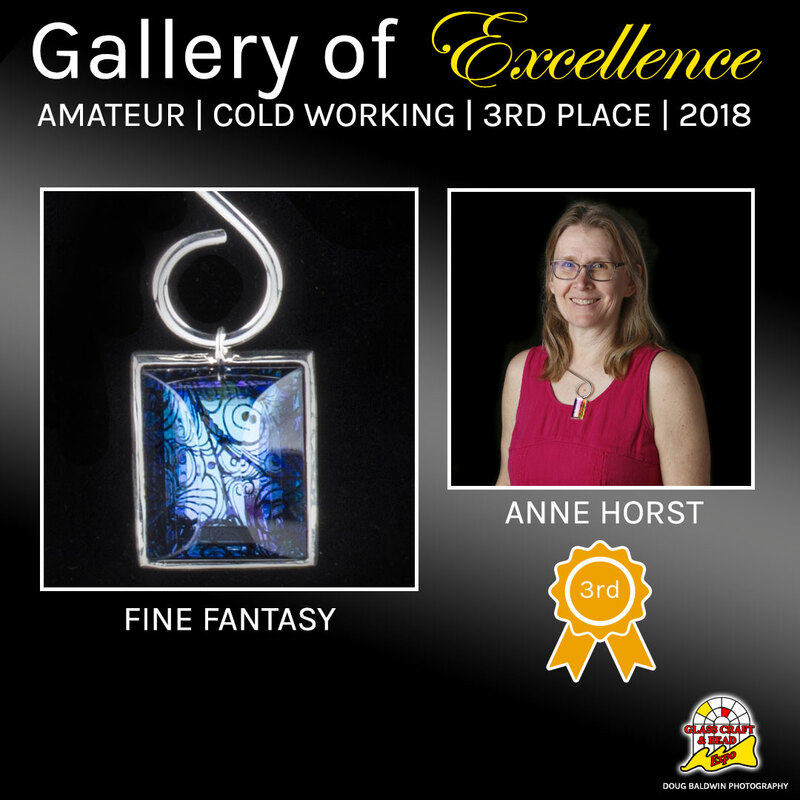 Hang Your Glass has been designing and fabricating elegant & secure hardware for art glass since 2004. Today, Hang Your Glass is still a small family-sized company. 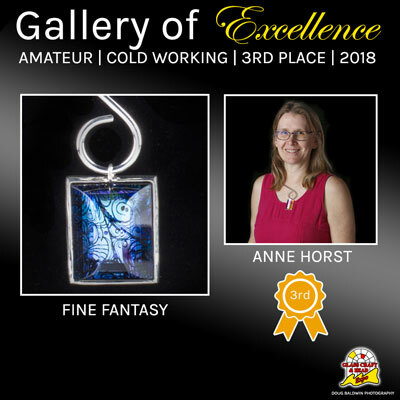 Our hardware is designed specifically for glass art which permanently attach to our stand-offs with either Hang Your Glass adhesive or HXTAL. The edge grips are also designed around the most common thicknesses of glass. 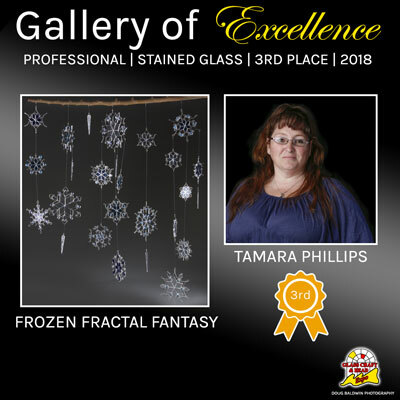 We remain committed to providing freedom to artists, interior designers, and other creatives to fully utilize 3D space to hang objects of any shape at any angle. Whether it’s cast, hot or kilnformed glass, wall placement opens up the full palette of light and shadow for display. And you are not limited by the size of your kiln. 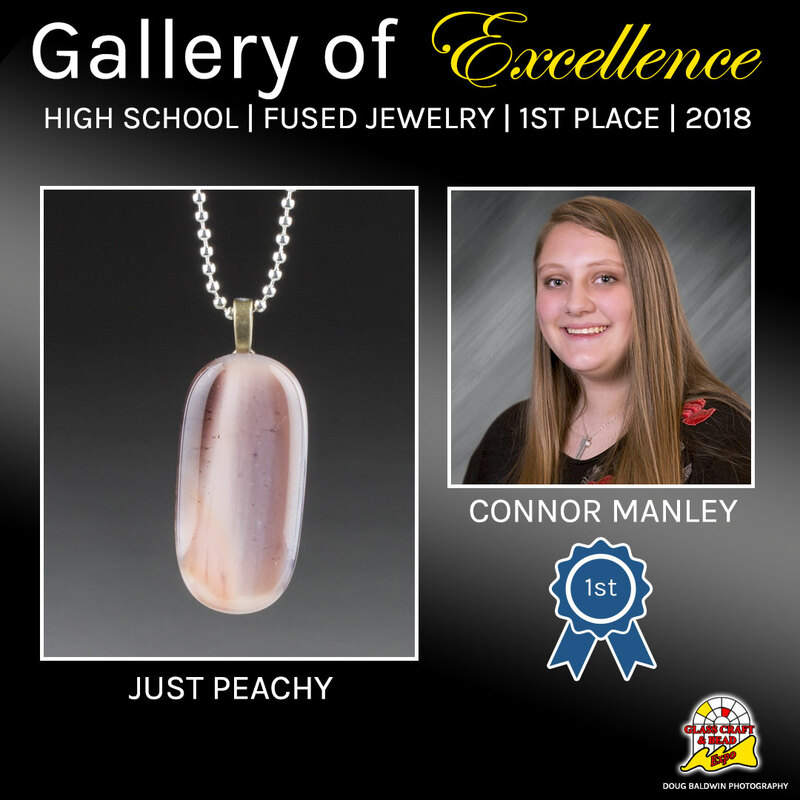 Hang Your Glass is a company founded and run by artists. We love artists and we work everyday to make sure you love our products. Thank you to everyone listed below for your contributions to the classrooms. We couldn't do it without your help. 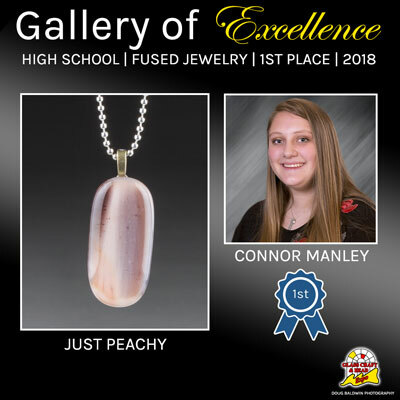 If you have contributed to the classrooms and your company name is not listed above, please contact Jen at 800-217-4527 so that she may list your company name and give you the proper recognition that you deserve. 2020 Online registration for the Gallery of Excellence will be released soon. 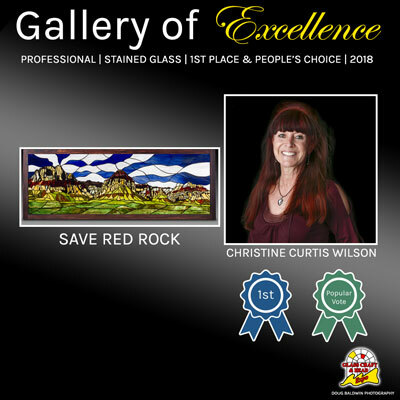 Please keep checking back for that and the 2019 Gallery of Excellence Winners! From the South (California): Head North on Interstate 15 to Exit 31 (Silverado Ranch Boulevard). As you exit, stay right and make your first right into the parking area for South Point. The South Point is located at 9777 Las Vegas Boulevard South. From the North (Utah, the Las Vegas Strip and downtown): Head South on Interstate 15 to Exit 31 (Silverado Ranch Boulevard). As you exit, stay in the middle exit lane and turn left, make your first right into the parking area for South Point. From the East (Arizona): Exit Interstate 40 at US 93 and proceed North. Cross bridge into Nevada and remain on US 93 North until exiting at Interstate 215 West. Take Exit 7 and turn left onto Eastern Avenue South. Turn right onto Silverado Ranch Blvd. Proceed to Las Vegas Boulevard South. From the Rental Car Terminal at McCarran Airport: Head South on Gilespie St. toward E. Warm Springs Rd. Turn right on E. Warm Springs Rd. Then turn Left on Las Vegas Blvd. South Point Hotel & Conference Center is on the right hand side of the road at 9777 Las Vegas Boulevard South. Uber and Lyft: These companies operate in the Las Vegas Valley. ENTERTAINMENT: There's a good reason why Las Vegas is called the "Entertainment Capital of the World." Since its Rat Pack days, Las Vegas has been inextricably associated with legendary shows and entertainers. Say "Las Vegas" and it's likely that showgirls in elaborate headdresses and Elvis impersonators will come to mind. Today, the Las Vegas entertainment scene still has plenty of its classic glamour, but it has evolved to include so much more. In addition to the iconic Las Vegas entertainment staples, the destination offers a lineup of award-winning magicians, Broadway-caliber productions, world-renowned concert headliners and unique-to-Las Vegas production shows. For more information please visit visitlasvegas.com. SHOPPING: If you want it, Vegas has it. From designer splurges to bargain deals, Las Vegas has become a one-stop shopping Mecca. Everything from colorful souvenir shops to haute couture boutiques can be found in retail centers along the Las Vegas Strip and surrounding areas. You won't be alone in your shopping endeavors. More than half of the nearly 39 million visitors who visit Las Vegas each year spent time shopping, according to the 2006 Las Vegas Visitor Profile Study. Las Vegas shoppers spent an average of $140.86 per trip, the study reports, more than twice as much as on sightseeing and show tickets combined. For more information please visit visitlasvegas.com. NIGHTLIFE: In 1930, Frank Detra took a chance and opened Pair O' Dice, Las Vegas' first nightclub. Located on what was then known as the new highway to Los Angeles (today, we call it the Las Vegas Strip), the club was open only at night. In addition to bands and jazz performers, the Pair O' Dice served Italian food. Most notably, the establishment had a history of closing and re-opening because it sported gaming tables before the city had legalized gaming and served alcohol during Prohibition. Nine years later, the Pair O' Dice was sold to police captain and commander of the vice squad Guy McAfee who renamed it the 91 Club. The nightlife scene changes frequently so please visit visitlasvegas.com for more information. GOLF: Las Vegas is no longer golf's best-kept secret. In fact, Las Vegas recently was named the top emerging golf destination in the world by the International Association of Golf Tour Operators. From exquisite championship courses designed by legends of the sport to lush fairways and breathtaking views - golf is just another reason the destination attracted 39.2 million visitors in 2007. Today, more than 60 golf courses are available for play in Las Vegas throughout the year thanks to the area's inviting climate. Las Vegas offers challenging, yet beautifully sculpted courses developed by world-renowned designers including Jack Nicklaus, Tom Weiskopf, Billy Casper, Arnold Palmer and Pete Dye. For more information about golfing in Las Vegas, please visit visitlasvegas.com. When is the 2020 Glass Show Expo? The 2020 show dates are April 1st - April 5th. 2020. Classes begin April 1st. 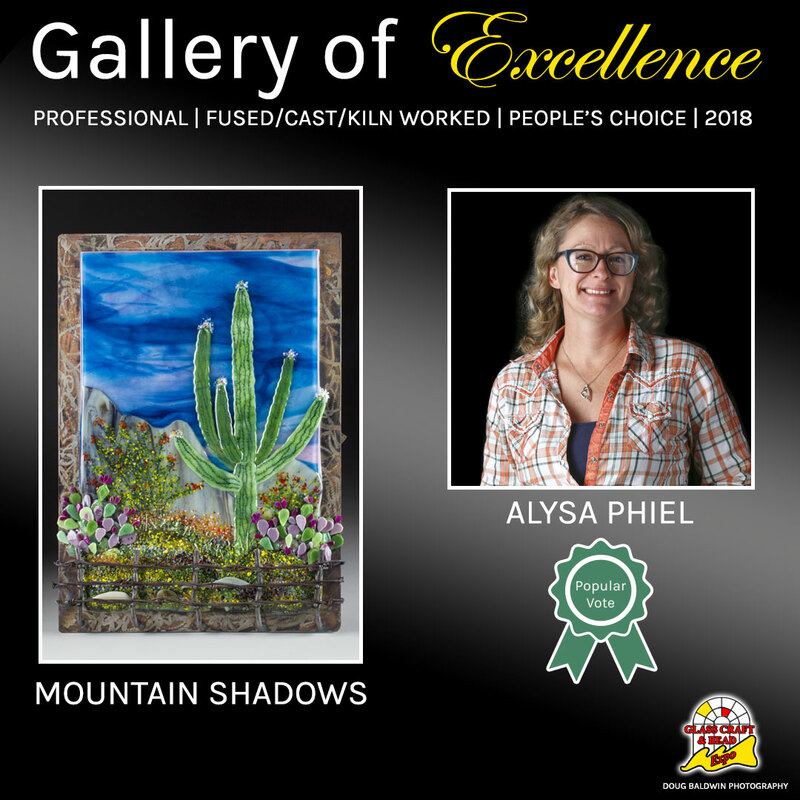 The show floor opens to the public for exhibits Friday, April 3rd at 9:00 AM. What is the cost to attend the show floor? Tickets are $15 to attend, and are good for entry all three days. Are there any discounts on Expo tickets? Senior (60 +), Military, High School and College Student, and General Admission discount coupons will be available at the show for filling out a very short questionnaire. Good for re-entry all 3 days of the expo. High School and College Students with a valid Student I.D. can attend the expo for free. Please note that there will no longer be a 50% discount on Expo tickets if you have a South Point Players club card. Only one discount per person will be honored. Can I make my hotel registrations directly with the South Point Hotel & Conference Center? Yes. Please remember that when you book using our group code, you are supporting the show and helping us keep costs down,and you do not have to pay the hotel resort fee. When we contract space at the South Point, all details are figured into our final costs. We have managed to keep booth costs, admission to the show and the cost of the classes relatively stable. However, we do need your help. When will my credit card get charged for the 1st night room & tax deposit in order to guarantee my hotel room? The hotel will charge your credit card for your 1st night room & tax deposit when you make your reservation. Does the cost of the hotel room include show tickets? No, all tickets for all events must be purchased separately. The hotel does have a shuttle service however you must call the hotel 1-2 weeks prior for reservations for both arrivals and departures. The hotel does not keep a shuttle on "standby" at the airport. When is the "book" (the 2020 catalog) coming out? How can I order the "book" (the 2020 catalog) online? To register to receive the printed Show Guide by mail, please check back soon for more details. Can I register for classes and use my credit card for my spouse or friends registration? Yes, you can, however each person must have their own registration. You can't put their classes on your registration. I did not receive my entrance badge in the mail. What should I do? Some people do not realize that the confirmation that they receive in the mail in March is their badge. Please bring your confirmation / badge with you. There is a $10.00 charge for all reprints. We do not mail badges that are "Out of the Country". If you registered and live outside the USA, you can pick your badge up at the registration desk located in the hotel conference area. If you made any changes to your class registration after March 2020, there was not enough time to mail it. Please pick it up at the registration desk located in the hotel conference area. All badges that were not received in the mail, can be picked up at the registration desk located on the second floor in the conference area of the hotel. If I received my entrance badge in the mail, do I still have to register when I get there? No, you do not. All you need to do is go to either registration desk and pick up your badge holder and lanyard. Can I get a refund if I have to cancel my class registration? You can obtain a refund, minus a 25% handling fee, if the cancellation is before February 1, 2020. After February 1, 2020, no refunds are given. At this point, the monies received have already been spent on class preparations. We must pre-pay for all electrical set ups and class structures based on the number of people registered in a particular class. I attended the show last year, but never received a catalog for this year. Why not? Can I sign up for classes when I get to the hotel? Yes, we do on site class registrations at both registration desks, but it is better to register in advance as many classes sell out. We have boards posted that show class availability as well as classes that have been sold out. Has my name moved up on the wait list for a class? If an opening becomes available in a class that you are wait listed for and you are next on the list, you will be called by a staff member to ask if you are still interested in taking the class. If you are, you will be put on the class roster. If you are not still interested in taking the class, your name will be removed from the wait list and the next person will be called. How can I tell if a class is available or sold out? The "Class List" will indicate if a class is sold out. You can also see "Sold Out" posted on the actual registration site under class selections. How do I get on a wait list for a sold out class? All sold out classes can have a wait list. The wait list details are only displayed if there are people currently on the wait list. To be placed on the wait list for a sold out class, you must complete a registration, and go to the class you wish to wait list, click on the Class is Full button which brings up the “Add Me to Waitlist” option. You will not be charged for the class. We will contact you if a seat becomes available. What is the cost to enter the expo hall? $15 general admission, Senior (60 +) and Military discount of $2.00 (please present proper ID) $2.00 off coupon in the Las Vegas Review Journal (beginning week prior to show opening). High School and College Students with a valid Student I.D. can attend the expo for free. Please note that there will no longer be a 50% discount on Expo tickets if you have a South Point Hotel & Conference Center Players club card. Do I have to pre-register just to attend the Expo? No, you do not. You can purchase tickets online to attend the event now. Tickets for entry to the Expo at the box office go on sale Friday morning (03/29/2020) starting at 8:30 AM. With your $15 ticket, you will gain entry for all three days, unless you register for a class, then entry is free to the Expo. Can we buy tickets in advance? You can purchase tickets online to attend the event closer to the event date. Prior to the show opening (Friday) you can purchase them at the hotel box office on the North wall of the casino. The box office hours are Mon-Sat 10a-8p and Sunday 12p-8p. Starting Friday, you can purchase them at the box office located outside of the exhibit hall. How do I get my wholesale buyer badge? 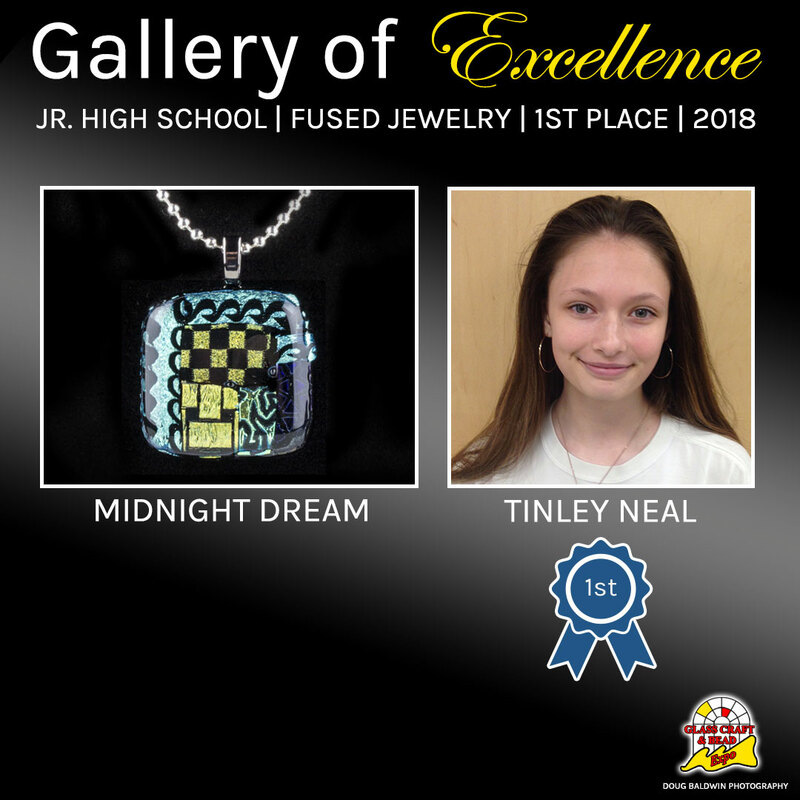 To qualify for a wholesale buyer badge, you must be the owner of a retail glass industry business or an assigned employee working for the store and present a Resale Tax Certificate or business license and one of the following: business card, business check or business credit card. Some vendors will accept a current year's invoice from a supplier for over $200 net. Please bring the necessary information with you to the show. DO NOT SEND any of your information to Las Vegas Management. 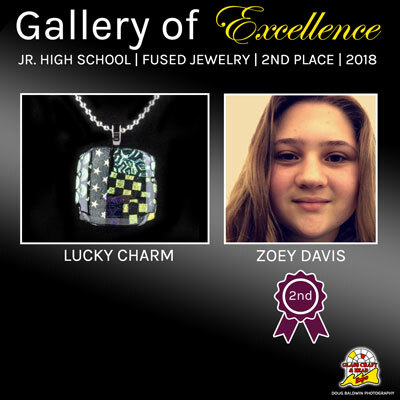 To have a wholesale Buyer Badge with your name and company on it waiting for you at the Exhibit Hall registration desk, log onto www.glasscraftexpo.com/registration. You must create ONE registration PER person registering for a wholesale buyer badge. This means if you are in a group of two (or more) people, each person MUST create an individual registration account and submit a wholesale buyer badge registration request. Same credit cards may be used. However, each individual must register with a different email address. PLEASE NOTE: YOU ARE NOT REGISTERED FOR A WHOLESALE BUYER BADGE UNLESS YOU ACTUALLY COMPLETE THE REGISTRATION AND RECEIVE A CONFIRMATION EMAIL. There is a $13 USD fee for this badge type payable at registration checkout. This fee is waived with the purchase of any class. 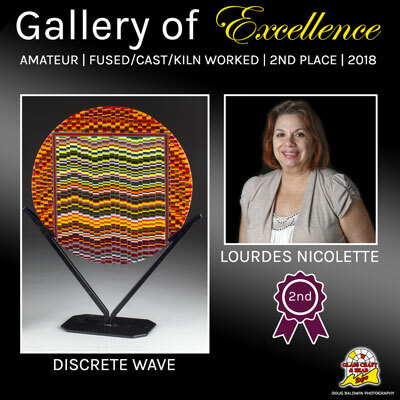 When you log into registration make sure to select the check box for wholesale buyer registration at the bottom of the Attendee Information page. Continue through the rest of the registration process until payment and confirmation is complete. You will not have to wait in line to purchase admittance from the hotel, just to pick up your badge. You will still have to bring your credentials to the desk to pick up the badge. If you are registering for classes, you can choose Wholesale Buyer as your badge type when registering for classes. 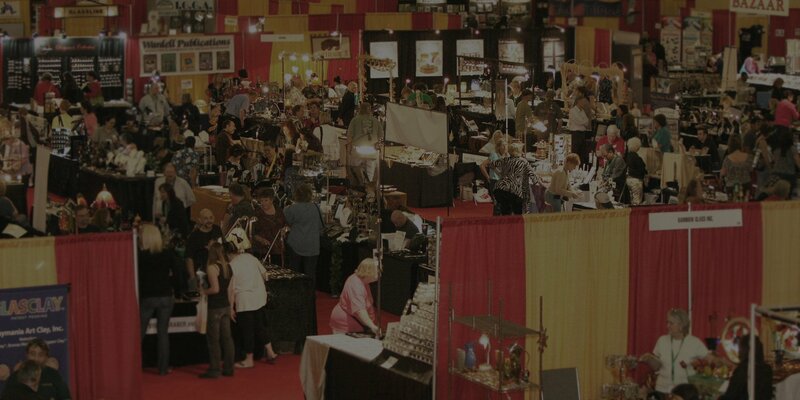 Please note: Exhibitors have their own company rules as to what types of purchases qualify for wholesale buying. You may have to fill out a wholesale exemption form for the vendor to keep on file for tax purposes. Do not expect to receive wholesale pricing for individual purchases. 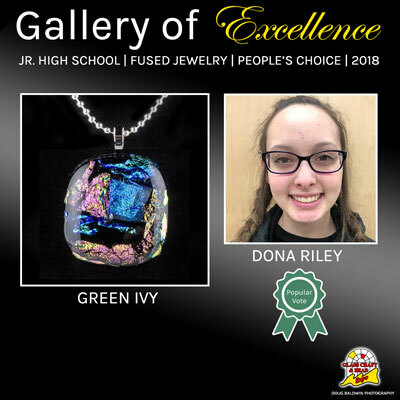 To have a wholesale Buyer Badge with your name and company on it waiting for you at the Exhibit Hall registration desk, log onto www.glasscraftexpo.com/registrationand fill out the Wholesale Buyer pre-registration form and purchase your admittance. You will not have to wait in line to purchase admittance from the hotel, just to pick up your badge. You will still have to bring your credentials to the desk to pick up the badge. If you are registering for classes, you can choose Wholesale Buyer as your badge type when registering for classes. Class submission for GCBE 2019 is now open!. Instructors and prospective instructors please login/signup in the Glass Craft & Bead Expo Instructor Portal to start submitting class proposals. If anyone knows of any new instructors that they want to see at GCBE 2019, feel free to send them to GlassCraftExpoTeachers.com to sign up! We look forward to seeing all the new and innovative classes proposed for the 2019 show. If you have any questions, don't hesitate to call us @ 1-800-217-4527. 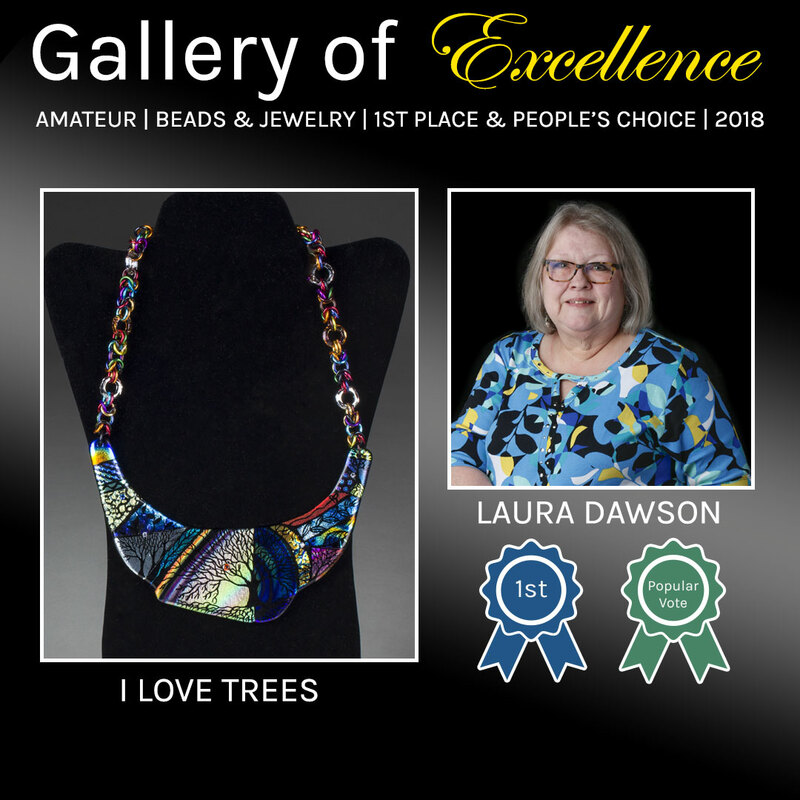 Advertise your company, products and services in the Glass Craft & Bead Expo 2019 Program & Class Schedule Catalog. 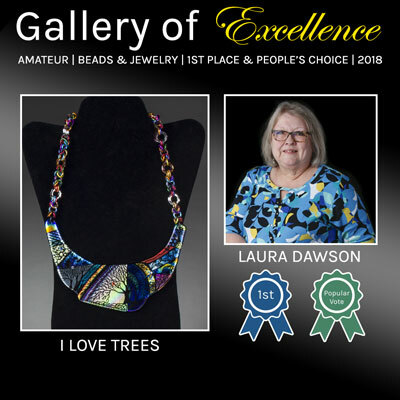 This 100+ page high quality, full-color book promotes classes, exhibitors and events within the glass craft and bead industry, as well as the premiere Glass Craft & Bead Expo 2019 event. You can also combine print and web advertising, contact us for special combination rates. Download the form at the bottom of this page to view pricing and place your order. Advertising online (with link to your business) at glasscraftexpo.com is the best way to reach your target markets. 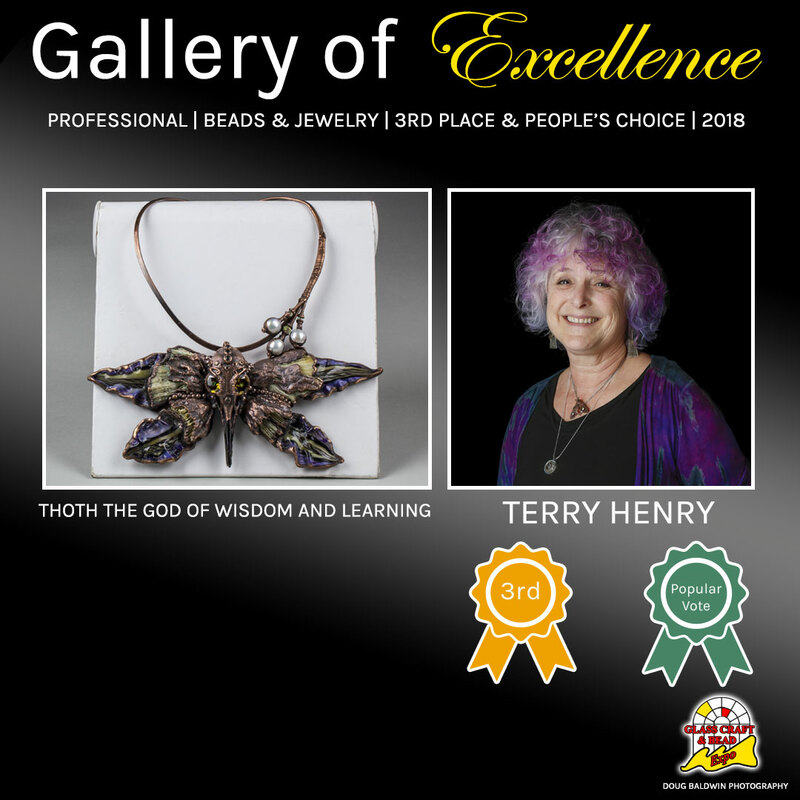 Prior to and during registrations, the website features information from the prior year as well as all of the new classes being offered, a current exhibitor list as well as new and exciting upcoming events. Web advertisement artwork specifications: Size specifications depend on banner type and placement. Please review attached order form for maximum file size and dimension specifications. JPEG, GIF (not animated) or PNG are all acceptable image formats. To submit artwork for web advertisements, compress artwork into either Stuffit (Mac) or ZIP/RAR (PC-Compatible) form and e-mail to info@lvmanagement.com. If you do not have a website ad, we can build one for you! Supply us with your company logo and a concept and we do the rest! There is a flat fee of $250.00 for this service. Please allow three business days to complete the ad. All web advertisements include a FREE link back to your company homepage or other URL of your choice. Exhibit Booth Fee: $1,410.00 per 10' x 10' booth (Add $100.00 per corner) Entire show floor is carpeted! Includes: carpet, pipe, drape, two (2) chairs, one (1) 6' table, one (1) trash can, temporary licensing fee, one-time vacuum of booth space prior to show opening, one (1) ID sign, and WIFI/5G Cellular. See contract, terms and rules and regulations for details. Includes: 1- 6ft draped table, 1 chair, ID sign, wastebasket, 3ft back wall dividers, all drayage, one-time vacuum of accessible floor space prior to show opening, temporary licensing fee, and WIFI/5G Cellular. On your contract it will ask you to list the person who the room credit will be applied to. This process will reward those that support the show by staying at the hotel. As we have explained in the past, the hotel determines our exhibit hall rental prices based upon our sleeping room pickup. We have negotiated excellent sleeping room rates. Please note, the reduced resort fee of $14 per night will be charged this year and includes all the amenities that the resort fee includes such as in room Wi-Fi, fitness center access, local and toll free in room phone calls, boarding pass printing, airport shuttle (based on availability) and a casino funbook. Not only is the hotel of top quality, it is also a convenience to stay where the show is at. Beginning November 28, please go to the hotel link to book your room, or call 866-791-7626 and use the group code GLA2019 to get the same rates and complimentary resort fee. The South Point will charge your credit card for one night room and hotel tax (currently 13% ) and you will receive your hotel confirmation number at the time of booking. Please book early and online to insure your room. If you have any questions at all, please let us know. You can email jen@lvmanagement.com, or call toll free 1-800-217-4527. If you choose Wholesale Buyer as your Attendee Type, Wholesale Buyer will automatically be printed on your badge. You will still have to present the required documents listed below to any vendor to qualify for wholesale purchases. PLEASE NOTE: If you qualify for Wholesale Buyer status and DO NOT select Wholesale Buyer as your Attendee Type, you will NOT be issued another badge on show site. A Wholesale Buyer sticker will be placed on your existing badge. Some vendors will accept a current year's invoice from a supplier for over $200 net. Please bring the necessary information with you to the show. Las Vegas Management will indicate "Wholesale Buyer" on your badge when you present it at the Exhibit Hall registration desk. DO NOT SEND any of your information to Las Vegas Management. PLEASE NOTE: Exhibitors have their own company rules as to what types of purchases qualify for wholesale buying. You may have to fill out a wholesale exemption form for the vendor to keep on file for your tax purposes. Do not expect to receive wholesale pricing for individual purchases. There is a $13 USD fee for this badge type payable at registration checkout. This fee is waived with the purchase of any class. If you have any questions at all, please let us know. You can email info@lvmanagement.com, or call toll free 1-800-217-4527. 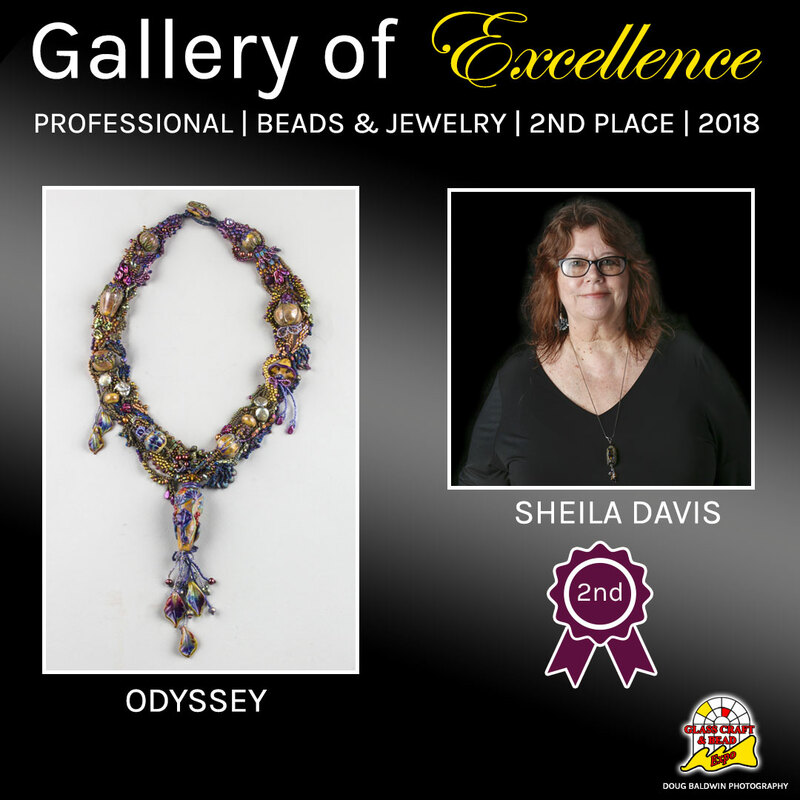 Glass Craft & Bead Expo is the premier Art Glass and Bead Trade Show and Educational Conference. People come from all over the world to take classes and view the show floor for all of the latest and most innovative products and services. Las Vegas has been home to the show with it being held for the past eleven (11) years at the South Point Hotel and Conference Center located at 9777 Las Vegas Blvd South. 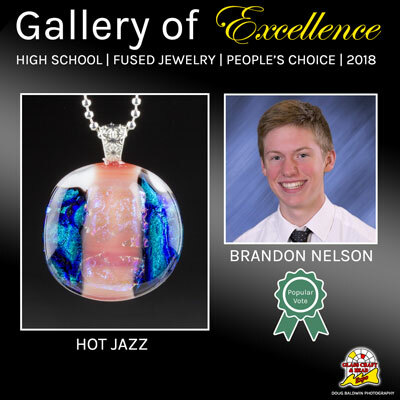 We offer over 250 specialty classes in hot, warm and cold glass. 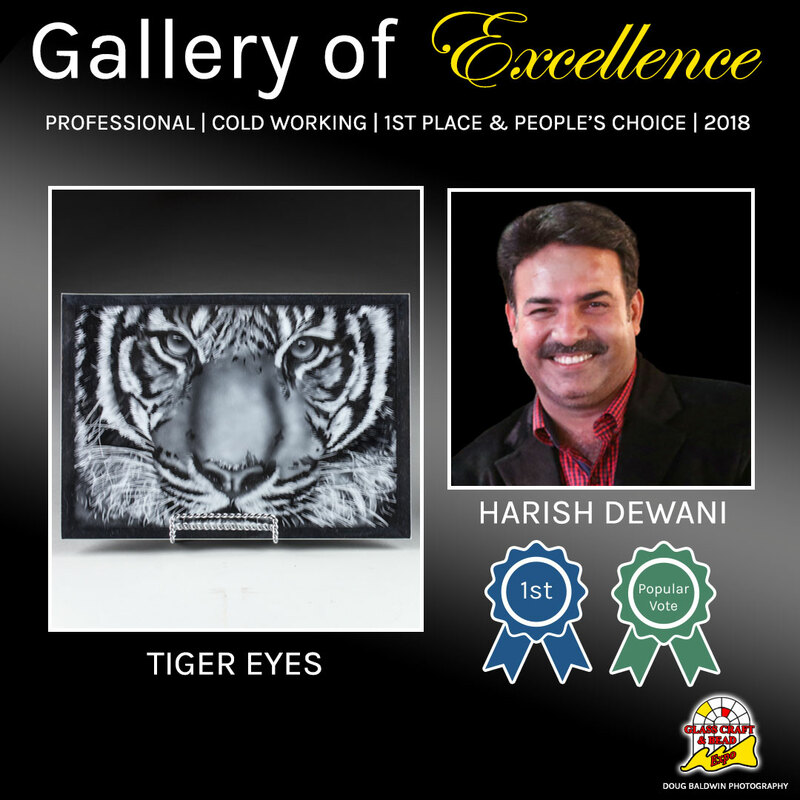 Our instructors come from all over bringing all their expertise in their respective fields. Our show floor offers everything including the latest types and colors of glass, the most innovative kilns, tools and specialty items. 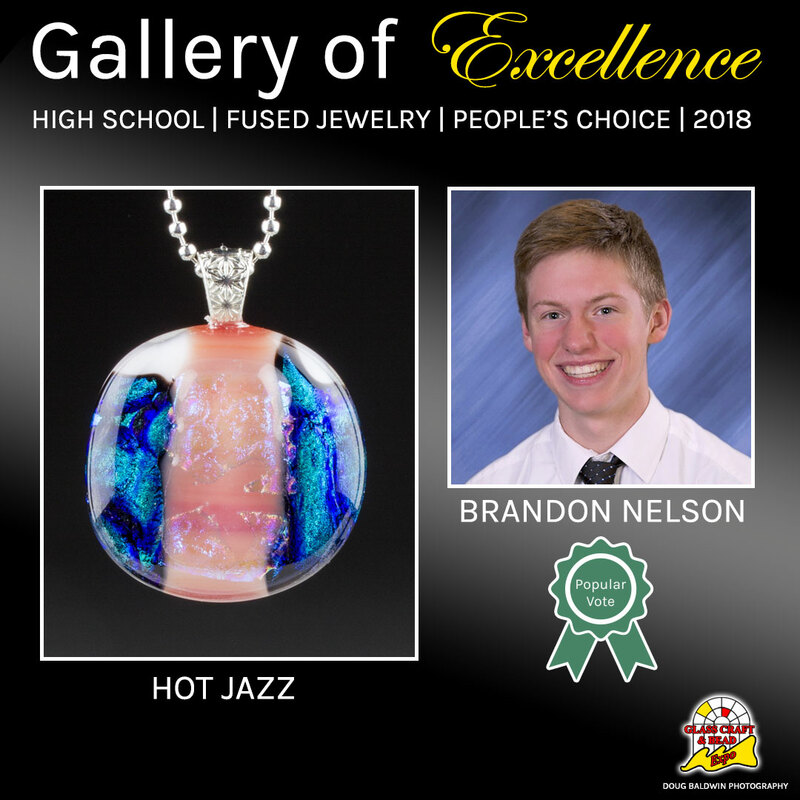 Our "Bead Bazaar" offers a beautiful collection of handmade beads, jewelry and one of a kind specialty items created by some of the most prominent artists in the country. 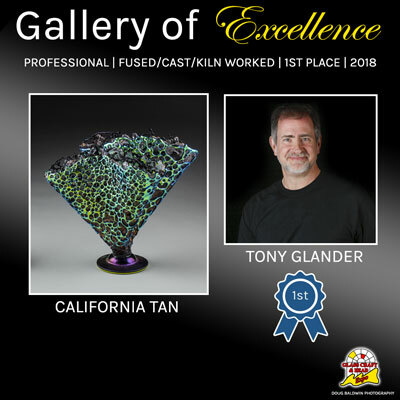 In 1994 Tommy Licata, founder and owner of Las Vegas Management and Creative Endeavors, was asked if he would be interested in organizing an educational conference and tradeshow for the Art Glass Industry. He and Nancy Montgomery consulted with industry leaders such as Kay Bain-Weiner, Norm Dobbins, Vicki Payne, Joe Porcelli and many others; the result was the Glass Craft Expo. It was held at the Tropicana Hotel in Las Vegas the spring of 1995. 1996 Glass Craft Expo moved to the Cashman Convention Center, where it was held for the next 10 years. 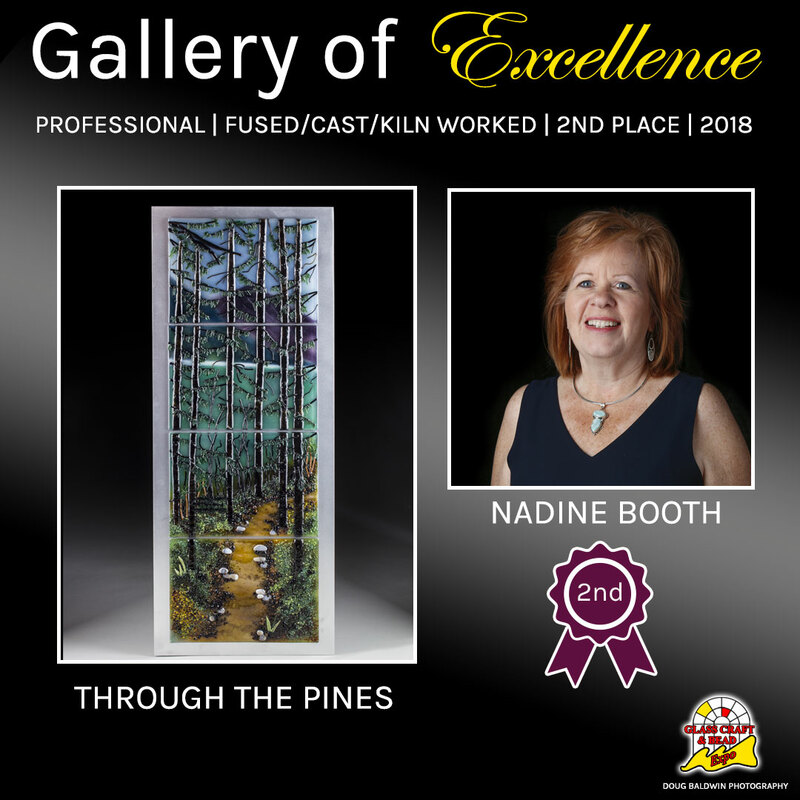 The Expo was designed to help promote the art glass industry, by offering educational classes, a trade show and networking opportunities, all which were open to the public. 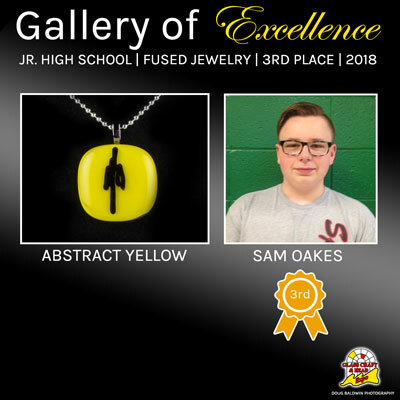 The goal was to include all forms of art glass, including stained glass, fused glass, cold working, mosaics, and flameworking. Shirley Harvey became the Show Manager, a position she held for many years. Lee Anne Short, who had worked on the Creative Endeavors side of the company, took over production of the show after conclusion of the 2003 Expo. 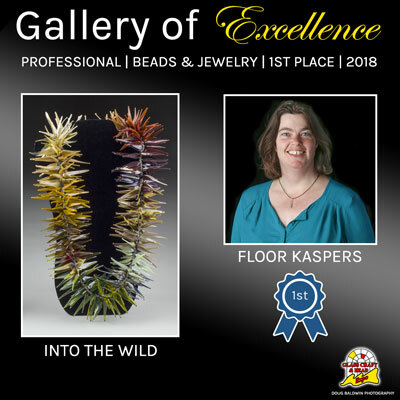 On the 10th anniversary, the show was renamed to "Glass Craft & Bead Expo" to include the growing flameworking and bead industries, and later in 2004, Patty Cerajewski was recruited to the Show Manager position. As the show continued to grow, filling every square foot of the Cashman Center, it was determined that we had outgrown that facility. In 2006 the South Coast Hotel and Conference Center was opened and the show moved to this great facility, with a great combination of meeting rooms, event space, trade show halls, and best of all, on site hotel rooms. South Coast became South Point in 2007, and is still the home of the show. 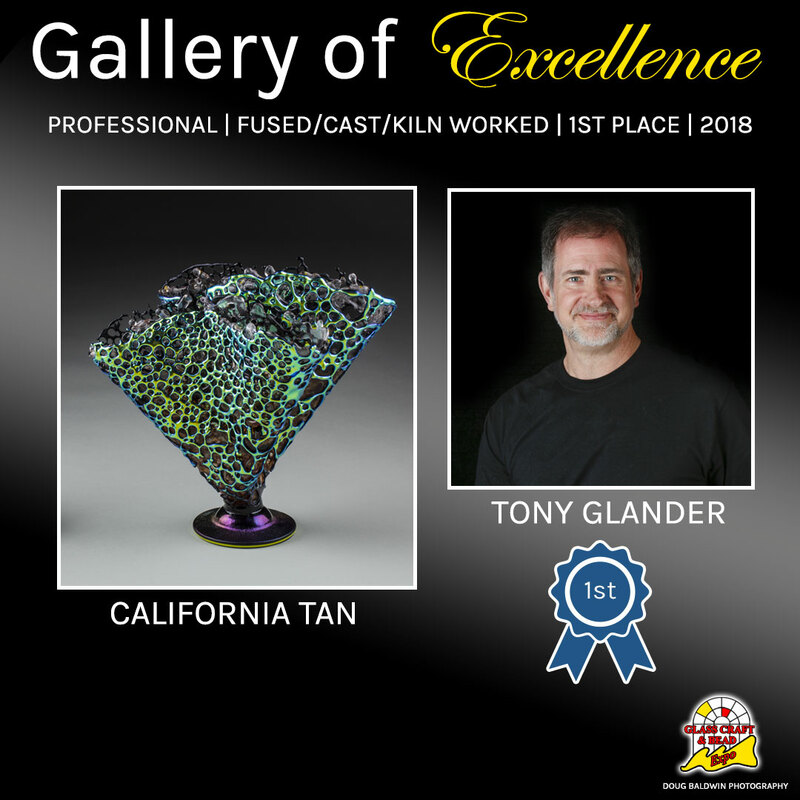 Tommy Licata passed away in 2008, and the International Hot Glass Invitational held during the 2009 show was dedicated to his memory. 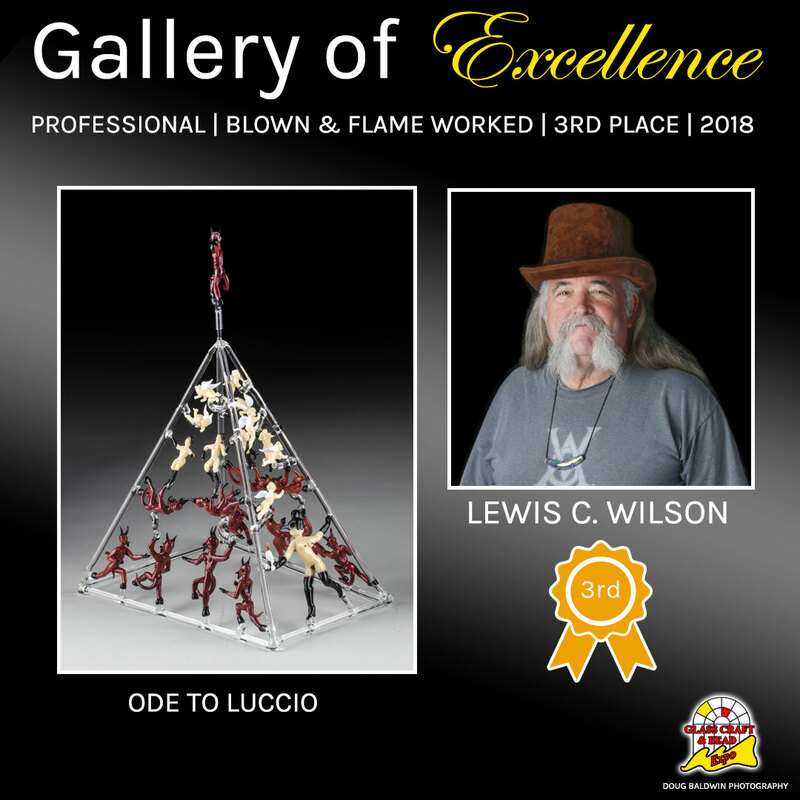 The Invitational was the largest flame-off that had ever been held, with teams of 4-5 well know national and international lampworkers competing over two nights creating some of the most incredible sculptures. 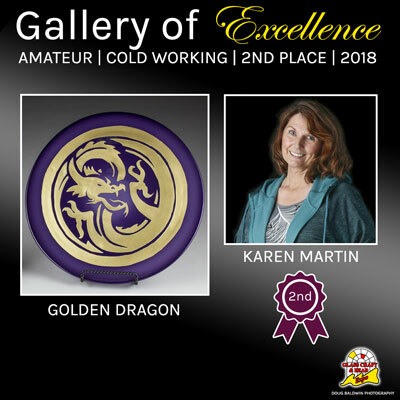 Lee Anne and the team continue to work hard every year to bring the best faculty of instructors and the latest in techniques to the average of 1000 students who attend the classes. 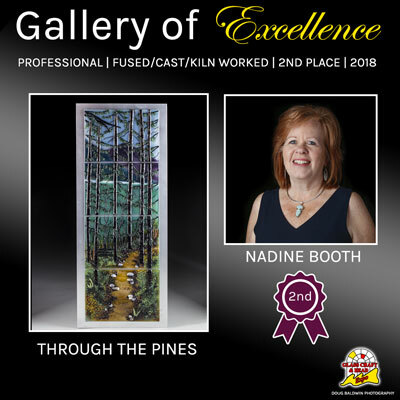 The trade show floor is filled with the manufacturers and retailers of glass, equipment and tools needed for producing all forms of glass art. In addition there are many artists in booths or the bead bazaar that sell their finished artwork, sculptures, beads and jewelry. The annual Gallery of Excellence juried art competition entries in both professional and amateur categories astound the attendees each year with the beauty and skill of the work. 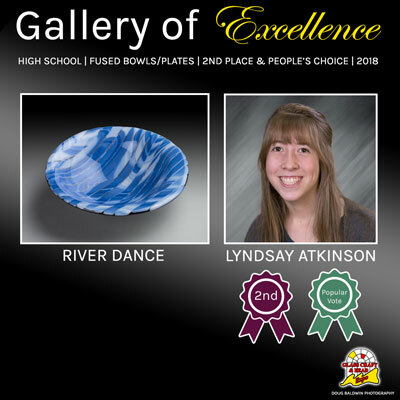 Local high schools have participated in the gallery for many years. 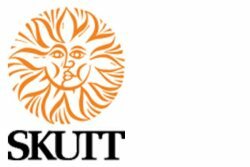 Scholarships for local high school students and teachers have been made available through the Kay Bain-Weiner Foundation, show management and other contributors. 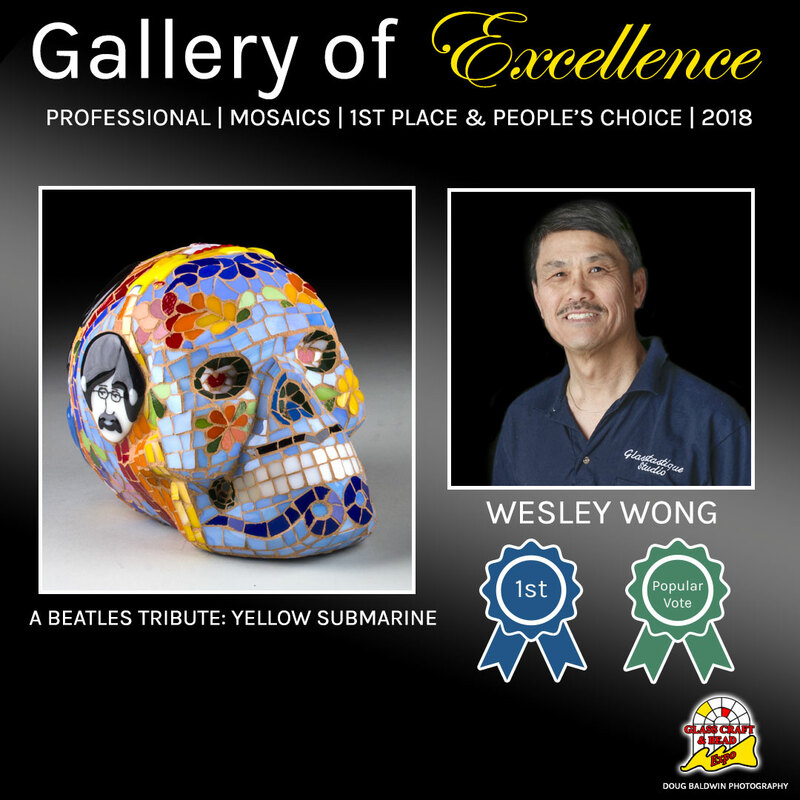 Las Vegas Management would like to thank all the members of the art glass industry, the teachers, exhibitors and students for supporting the Glass Craft & Bead Expo over the years. Many have been with us since the first show. 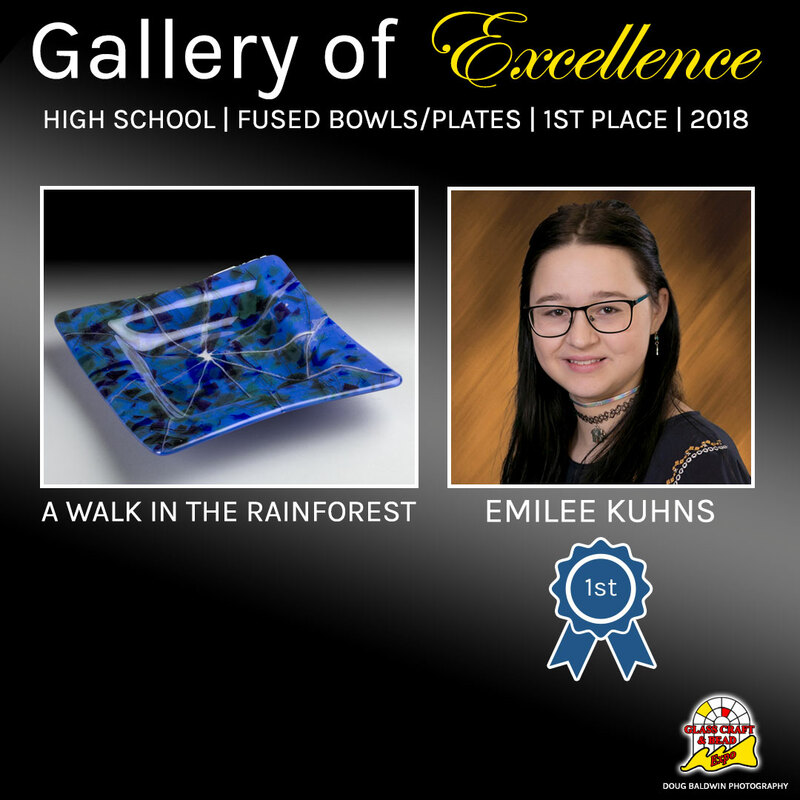 The show has had steady growth, and is proud to promote art glass through education and by providing a quality showcase for product and glass artists alike. Students and Teachers from all across the United States and the world travel every year to participate in America's Favorite and Largest Glass and Bead Expo. To register to receive the printed Show Guide by mail, please go to class registration. You will be asked to fill out basic contact and mailing information and click that you want to receive the 2017 show guide. You will have to sign the class waiver even though at this time you are not signing up for classes. When you get to the class signup, just click on the your cart in the upper right corner, it will show a charge for the book, and click checkout. Fill out the credit card information and complete, and we will mail you the book! You have now also created your account if you wish to come back to register later for classes, so remember your password! Using the same email address and password to sign up for classes will give you credit on your class registration for the amount you were charged for the show guide, $5 for US and Canada, $12 for International.